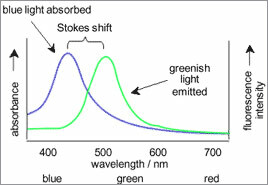 Fluorescent dyes have the unique property of absorbing in the UV range and emitting in the visible range of the color spectrum. Each fluorescent dye has its own unique properties and used in various applications, including non destructive testing, water tracing, leak detection, antifreeze, adhesives, car wash soaps, and detergents. This type of light that gives supplementary emission often results into an apparent impression that more yellow-green light is transmitted or reflected than what actually falls on the dye. Thus emanating the characteristic bright glow of fluorescence. The light emitted this way is of longer wavelength than the absorbed light. 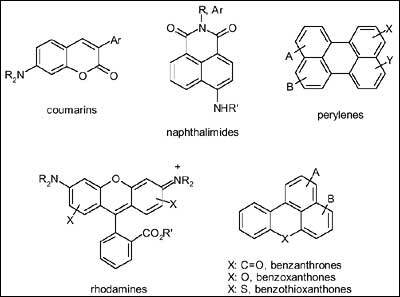 Fluorescent dyes finds extensive uses in various applications. It is used as a penetrant liquids for crack detection, plastics, synthetic resins, printing inks, non-destructive testing (NDT), sports ball dyeing. A fluorescent dye that is particularly useful for textile applications are Merantine Brilliant Yellow 8G.